Staff Correspondent: A new avenue of opportunity for Bangladeshi leather and leather goods can open up in European markets as China is losing its market share, said a top official of Messe Frankfurt, a mega trade fair organising company based in Germany. Michael Scherpe, president of Messe Frankfurt France, said Europe is a market of tens of billions of euros and China is still one of the largest leather and leather goods suppliers to the continent. But China’s exports are decreasing because of the rising wages and domestic demand in the country, he said. “It creates good opportunities for factories in other countries, including Bangladesh, which are capable of manufacturing the same products,” he told a press conference at the Westin Hotel in Dhaka last week. Scherpe also shed light on the upcoming fair in Paris that is solely focused on the leather sector. The four-day exposition starts on September 17 this year. 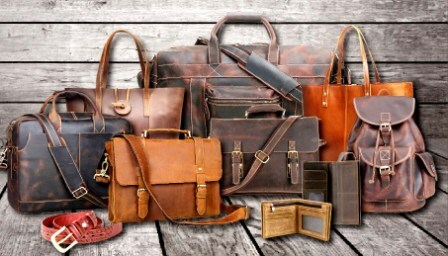 With the rising demand for Bangladeshi leather goods, local exporters participate in world-class exhibitions in Europe to showcase their products. Some 21 Bangladeshi leather and footwear exporters can explore the European markets by taking part in the fair, Scherpe said. According to Scherpe, raw materials are a promising category and there is a lot to do in Europe. Asia is exporting only 3 percent of the raw materials needed by Europe, while a number of European countries account for 33 percent. Scherpe said the shortage of leather is affecting all tiers of the supply chain and pushing up the price of leather. Manufacturing costs are also rising, forcing European buyers to look for low-cost suppliers. “If Bangladeshi companies attend international trade shows they will benefit from innovation, marketing, designs and fashion,” he said. Omer Salahuddin, chief executive officer of Messe Frankfurt Bangladesh, said 8 to 10 local leather and leather goods exporters could participate in the show.